Colonial Acres Coins is excited to present their Spring Coin, Currency & Bullion auction for online bidding on April 28th, 2019. This Auction will feature over 800 quality items that will start at 50% of trends or less and most gold & silver bullion will start at $1.00! 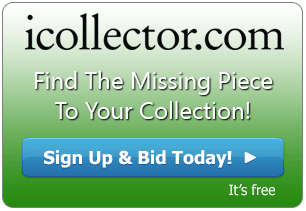 This auction will feature Old Estate Coin Collections, Gold & Silver Bullion, Old paper money from Canada & USA, Group Lots of Tokens, World Sets, World Paper Money, Original Rolls, Franklin Mint, Royal Canadian Mint, Silver Year sets and much more unique items. 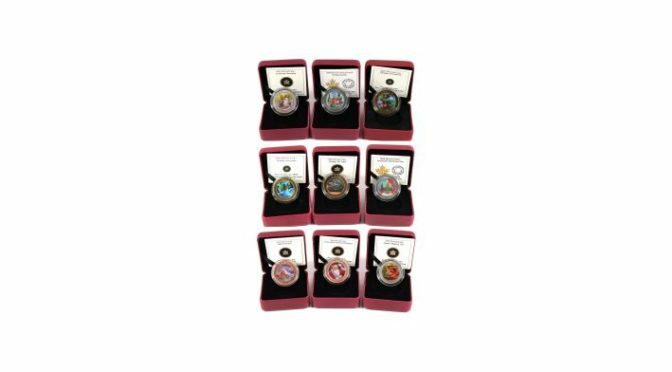 Lot 11 is a beautiful Royal Mint 1983 Limited Edition Gold Proof Collection. The winning bidder will receive the Two Pound, Sovereign, and Half-Sovereign Proof Coins struck in 22K Gold. Each coin contains the classic portrait of St. George on Horseback Slaying the Dragon with the obverse depicting Her Majesty Queen Elizabeth II. This set contains 0.824oz of Pure Gold. Lot 165 is a great collection of 1922 to 1967 Canadian 5 cent pieces in a Blue Whitman folder. This includes each date released from 1922 to 1967 with the exception of 1925, and 1926 Far 6. 41 pcs & Album. The auction kicks off Noon Eastern Time on Sunday April 28th, 2019. Live and mobile bidding is available and absentee bidding is currently being accepted. The entire catalog is available for online inspection with full photos and descriptions. Colonial Acres is happy to take any phone calls or emails on any of the over 800 offerings going up on the auction block and will provide fantastic pre and post sale service to all bidders and consignors.